What would you do if the power button breaks? Wanna unlock and lock the screen in the dark? 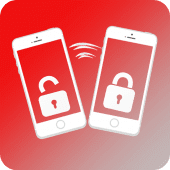 Share to Lock-Unlock will help you, one of the best apps of its kind. Just turn on the apps Shake to Lock-Unlock, Shake screen to on off your phone, Shake it off one little shake will lock the screen, while another shake will unlock it, no need for using the power button.